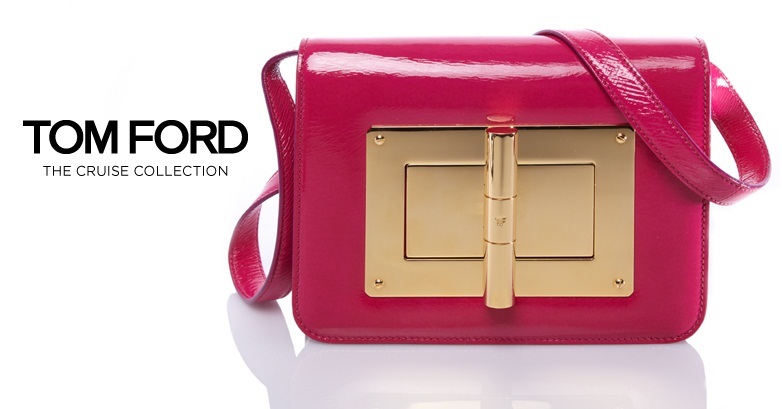 Looking for the 2014 TOM FORD Black Friday and Cyber Monday Deal List? Click here! I get a lot of emails from readers who either need help tracking down specific TOM FORD apparel and other products or who simply need recommendations on where to purchase TOM FORD online. Now that Black Friday and Cyber Monday are upon us I thought this might be a good time to give you a rundown of some online retailers who carry TOM FORD products. As an added bonus, I also included any special promotions they are currently running that can be applied to a TOM FORD purchase. Most online retailers only carry TOM FORD eyewear, accessories and beauty products including fragrances. Apparel is more difficult to find and although there are some online options your best best is a visit to a TOM FORD boutique. When you shop at the retailers below, don’t forget to check ebatesto see if you can get cash back when you buy for extra savings – they are offering up to double cash back on many sites this weekend! Check out the list after the jump and let me know if I missed anything (if you are looking for a more comprehensive list of Black Friday & Cyber Monday sales, click here)! 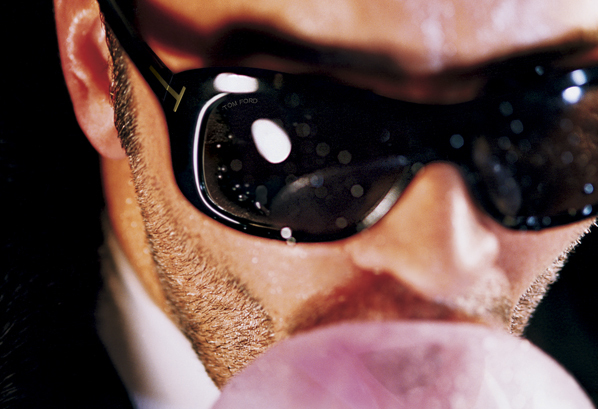 Barneys New York: Enjoy free ground shipping on all domestic orders including TOM FORD sunglasses and fragrance. Bergdorf Goodman: I love Bergdorf Goodman. Right now you can get free shipping with code BGSHOP. 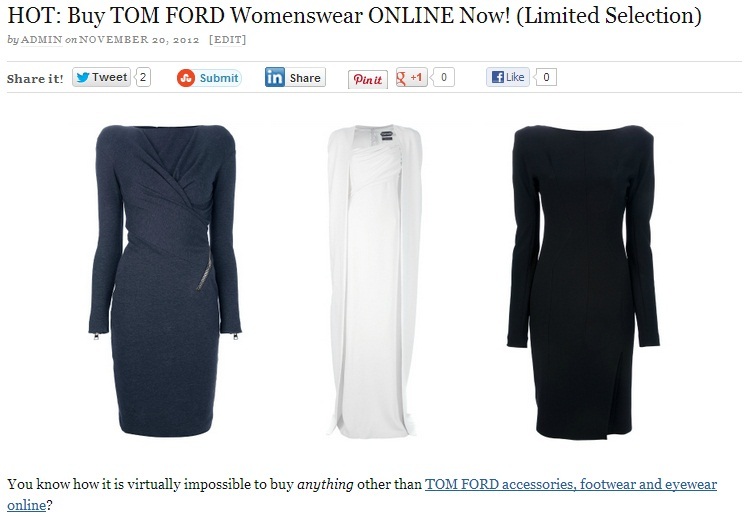 Make sure you check out the new TOM FORD Cruise Collection! Beyond the Rack: Pay shipping once and receive free shipping on all ADDITIONAL orders through November 25th. No code necessary. They are featuring TOM FORD sunglasses on the site again through November 23rd. Bloomingdale’s: Bloomingdale’s carries a nice selection of TOM FORD Beauty and TOM FORD sunglasses. Receive a sparkling clutch and deluxe fragrance samples with any $100 Bloomingdale’s fragrance purchase. Farfetch: I just wrote about farfetch the other day. They are the only online retailer that currently sells TOM FORD apparel plus they have a great selection of sunglasses that are difficult to find elsewhere. Right now: Enjoy free global shipping on orders over $160 from November 22nd – November 26th. The free shipping offer is valid on orders of full price merchandise totaling over £100 (€124; $160). Free shipping applies up to a shipping value of £40 (€49; $64) over which the customer must pay the difference. The £100 threshold applies to a customer’s entire order of full price merchandise, no matter how many boutiques ordered from. Sale price merchandise is not included within the free shipping offer and does not count towards the £100 threshold. It applies to orders from all boutiques in the farfetch.com network. Last Call by Neiman Marcus: Unfortunately TOM FORD sunglasses are usually excluded from any additional discounts offered on Last Call, but they are still significantly discounted (usually around $199) and free shipping is often available. Plus they have a nice selection as well. Shop through ebates.com for 2.5% cashback on your purchase! 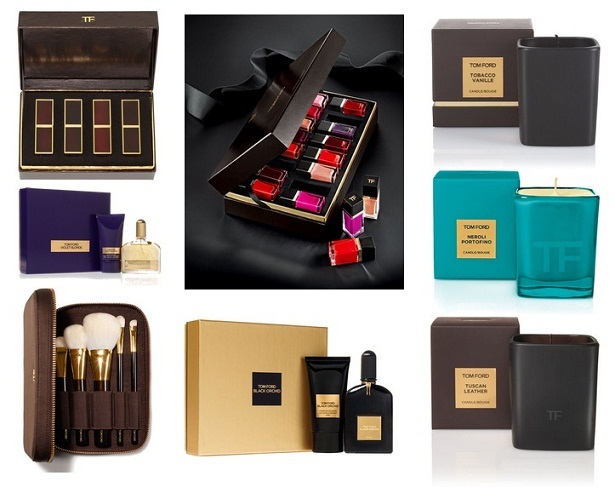 Neiman Marcus: Neiman Marcus and Bergdorf Goodman are my go-to retailers for TOM FORD Beauty products. Right now NM is running a gift card promo. Make your purchase through ebates.com for cash back. OPM Boutique: Enjoy 30% off your entire order with code BLACKFRI30 through November 23rd. 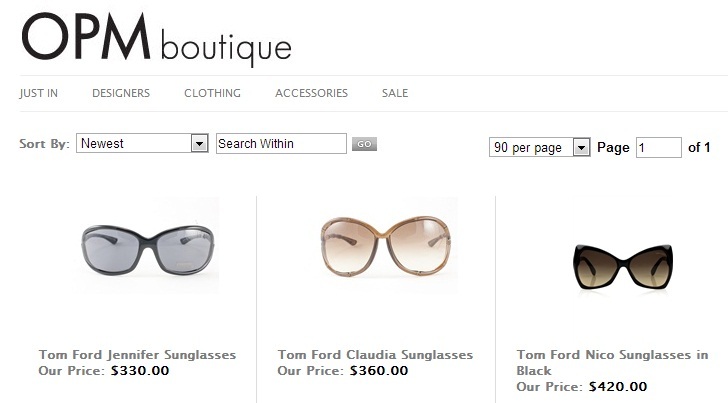 They carry a limited selection of TOM FORD sunglasses and the code can be applied towards their purchase. A few of my picks are below (prices are pre-discount). Enjoy 20% off sitewide on November 22nd with code GIVETHANKS20. They have a limited selection of TOM FORD sunglasses available. Enjoy an extra 40% off select items on November 23rd – check back to see if TOM FORD is included. Saks Fifth Avenue: As always, Saks has a ton of TOM FORD Beauty and eyewear in stock. Saks is also one of the few retailers that still carry the TOM FORD Rizzoli hardcover book. 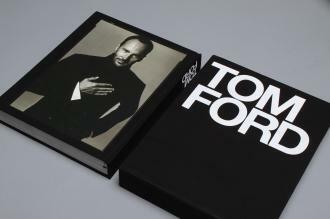 If you are shopping for a TOM FORD fan the book is definitely worth considering! My copy is one of my most prized possessions. For those of you who want to shop in person this weekend and are in the NY area, check out the Woodbury Commons Outlet TOM FORD store. Brown and black crocodile (retail $19,990) are normally $7996 at the outlet, but will be discounted an additional 25% making them a cool $5997 each. Ford’s dresses will be priced between $530 and $650, including the extra 25% to 50% off outlet prices. Men and women’s shoes will be an additional 50% off and jewelry will be an additional 25%. They have gladiator style sandals for $71 to $78 (retail over $650), flats around $60, and heels ranging from $122 to under $500 for exotics. You can view a price list and inventory for the sale here. As this is the Black Friday season do not expect for the printecd coupons as you can also use Donatos Promo Codes for redeeming coupons to have a discount. This is joyful reason to celebrate this Christmas.